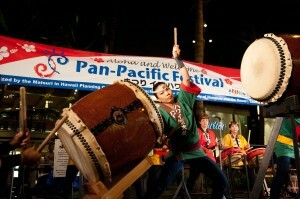 Taiko drummers entertain thousands of spectators at the Pan-Pacific Festival’s Ho‘olaule‘a block party in Waikiki. Participation by Japan-based cultural organizations in the 33rd Annual Pan-Pacific Festival returns to full strength more than one year after the country endured the catastrophic 2011 earthquake and tsunami. 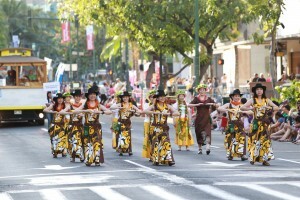 The cultures of Japan, Korea, China and Hawai‘i will converge during the three-day international festival set for June 8 – 10, 2012. The festival will feature cultural performances, demonstrations, hula festival, food, Ho‘olaule‘a (block party) and a colorful parade down Kalākaua Avenue in Waikīkī. The Ho‘olaule‘a will fill several blocks of Kalākaua Avenue, while the Performing Arts Showcase stages will be located at Ala Moana Center’s Center Stage and Royal Hawaiian Center’s Royal Grove. Organizers predict that more than 85,000 people will attend the weekend event. The festival kicks off on Friday, June 8, 7 p.m. to 10 p.m., with a Ho‘olaule‘a block party in Waikīkī. Multiple stages along Kalākaua Avenue will be filled with cultural performances, live entertainment by local and international bands, performing arts groups, and a wide range of island crafters and vendors selling unique items. Dozens of food booths offering unique ethnic cuisine will also be featured, and the Hawai‘i Academy of Recording Arts (HARA) will provide headline entertainers to perform live throughout the evening at the Na Hoku Hanohano Stage, located on Kalakaua Avenue near Kaiulani Avenue. Hula dancers from Japan charm beach-goers in Waikiki with a special performance at the Kūhiō Beach Hula Mound. The Performing Arts Showcase will be held daily throughout the festival weekend at Royal Hawaiian Center’s Royal Grove in Waikīkī and at Ala Moana Center’s Centerstage. The Showcase features traditional Japanese songs and dances, hula performances and other cultural presentations from more than 40 groups from Japan and Hawai‘i. Performances start at 10 a.m. on Friday and Saturday, June 8 and 9; and at 12 noon on Sunday, June 10. Also, the 12th Annual Pan-Pacific Hula Festival will be held throughout the festival weekend at the Kūhiō Beach Hula Mound, featuring more than 35 hula hālau (troupes) from Japan. Hula dancers honor Hawaii’s tradition of the paniolo at the Pan-Pacific Festival’s annual parade in Waikiki. On Sunday, June 10, from 5 p.m. to 7 p.m., participants in the festival’s highly anticipated Pan-Pacific Parade will march down Kalākaua Avenue. The parade features a mix of colorful cultural performers, entertainers, and music and dance groups from around the world. The Farrington High School football team also returns to the parade this year, to carry the Omikoshi Shrine down the parade route that begins at Fort DeRussy and ends at Kapi‘olani Park. 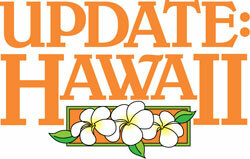 The Pan-Pacific Festival is sponsored by the Hawai‘i Tourism Authority. For more information, call (808) 926-8177 ex. 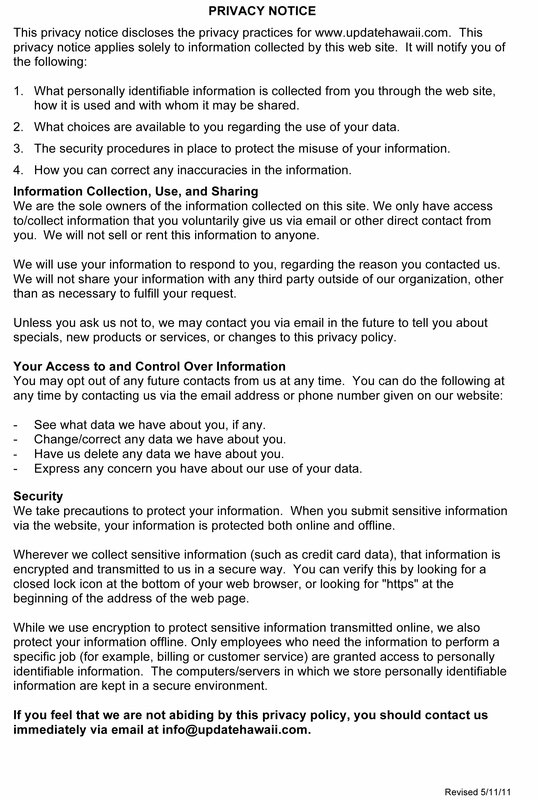 276 or email PPF@kihhnl.com. Visit the website, www.pan-pacific-festival.com and Facebook page www.facebook.com/PanPacificFestival.